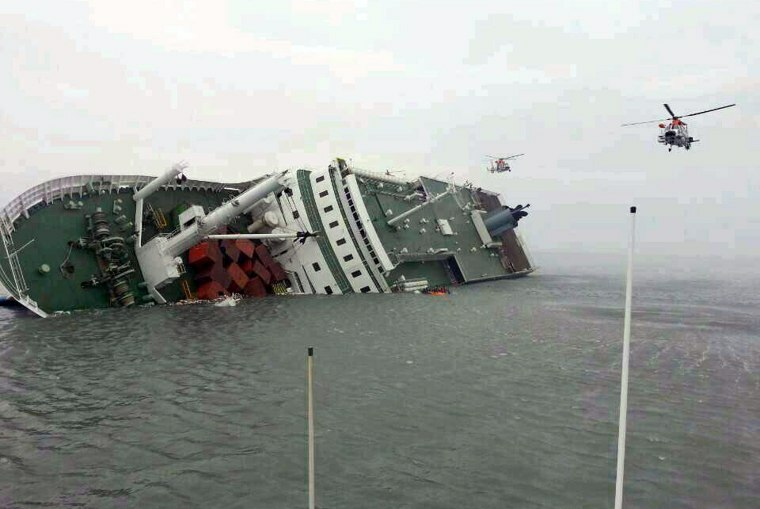 NSEONG, South Korea - Hundreds of followers of a religious sect submitted on Wednesday to a search of their rural commune by South Korean authorities seeking the arrest of the head of the family that operated a ferry which capsized last month killing more than 300 people. Yoo Byung-un is wanted on charges of embezzlement, negligence and tax evasion stemming from a web of business holdings centered around I-One-I, an investment vehicle owned by his sons that ran the shipping company Chonghaejin Marine. Believed to be in his 70s, Yoo is a co-founder of the Evangelical Baptist Church that runs the sprawling Anseong compound about two hours south of Seoul. Arrest warrants also have been issued for Yoo's two sons. Prosecutors conceded they had no confirmation of the whereabouts of Yoo or his eldest son, and said they were probably no longer in the Anseong commune but added investigators were also looking for other evidence. "Again, this investigation is about personal wrongdoings on the part of Yoo Byung-un and sons related to the management of Chonghaejin Marine," Kim Hoe-jong, a senior prosecutor in the case, said in Incheon. "It has nothing to do with religion." Followers had prevented the authorities, armed with court warrants, from entering the compound earlier by staging a sit-in at the gate. They said they had nothing to hide and have accused the government of religious persecution. "We will prove that our dear brother Yoo Byung-un is not an evil man and that he has lived as a role model citizen of this country practicing the love of Jesus Christ," Lee Tae-jong, a spokesman for the group, said at the compound gate. About 1,200 police officers were on site to keep order and helicopters hovered over the Anseong compound as dozens of investigators entered the gate in while group followers sang hymns.